Earlier this year, we announced that guests will soon discover a new area of Adventureland at Disneyland park called The Tropical Hideaway. Today, we have a bit more to share with all you curious explorers! This new spot will serve as an exotic marketplace for discovering extraordinary eats from all corners of the world. A variety of unique food and beverage items will be available for adventurous palates of all types! With its proximity to the Jungle Cruise, you never know what appetizing goods will be available in the trader’s market! Imagine tempting your taste buds with one of the many market eats, such as a warm steamed bao bun. These unique bao buns will come in three different types – Spiced Vegetable Bao, Lime Chicken Bao, and Bulgogi Beef Bao. You can also try a delicious chilled ramen salad or grab a tropical-inspired snack. And for a sweet treat, you can try Sweet Pineapple Lumpia, a spring roll filled with pineapple and sweet cream cheese! After picking up a snack or two, choose a spot on the open-air dock, soak in the sights of the Jungle River waterfront, sit back, and listen to the musical sounds of the tropics – all while experiencing delicious new tastes! After the sun goes down, flickering torch lights will illuminate the area, transforming The Tropical Hideaway into an enchanting nighttime venue. More surprises await you at The Tropical Hideaway, opening later this year. 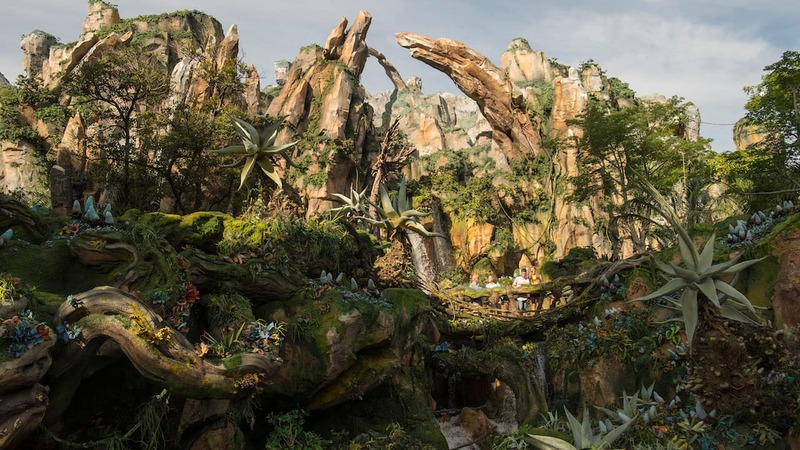 Stay tuned to the Disney Parks Blog for more details! We’d love to find Dole Pinapple Whip on this new menu. Please add me to your request file…I am also interested in vegan options!! Looks like a fun experience before I meet the head hunters on the Jungle Cruise! People would love more vegan options! Will there be a show like the old Tahitian Terrance? I too am looking for more details on whether or not Spiced Vegetable Bao is vegan friendly. Please let us know if you can, the extra options are great! I loved the veggie bao buns on Pandora and I’m super excited they’re going to be right here at Disneyland!!!!!!!! Please offer some adult tropical beverages too! A Captain’s Mai Tai and other fun drinks would be really awesome!!! For a short while, the Disneyland calendar showed that the Enchanted Tiki Room would be open on Friday, Sept. 28th. But, now it’s showing Oct. 3rd. If the new location is tied to that attraction’s closing, then hopefully will be available on or shortly after Oct. 3rd. 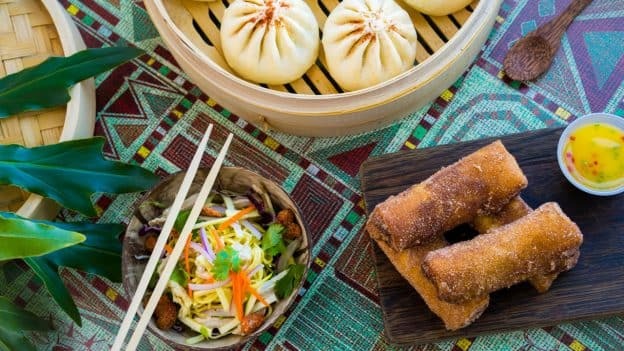 Are there any more details about the Spiced Vegetable Bao? Like if it would be considered or able to be ordered in a way that is vegan? We’re always on the hunt for more options when visiting the parks. Thank you, Alex, for giving us some tidbits about Tropical Hideaway! I know that this project has been a big mystery. leaving everyone speculating about what to expect. At least now we know something other than just the name of the location! Oh I cannot wait!!!! I wanted to try the Lumpia when I was at Pandora and totally forgot to grab one. I’m so happy I get to try it here. Thank you for an update.